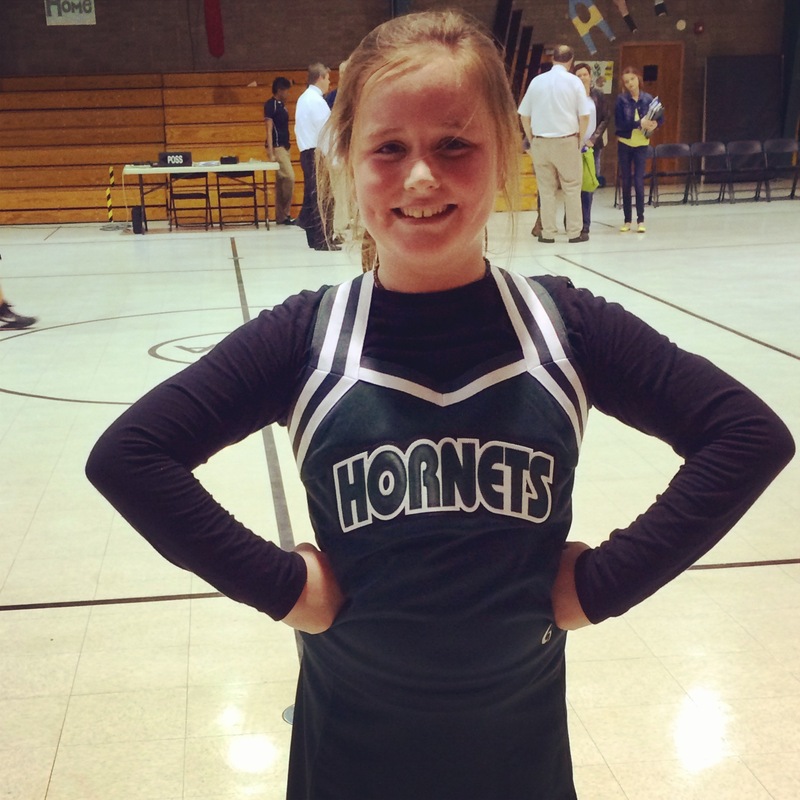 McCanless & Mary Clare Pennington » Go Hornets! 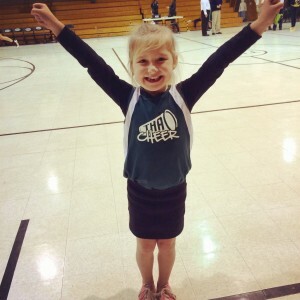 My heart secretly swells when I see my girls don a cheerleading uniform. I know, I know. I just can’t help it. Some of my fondest memories are cheerleading practices in summers with my best friends. No make-up, girls being girls, learning to be a team, learning to love each other and our sport. I’m hoping that whatever they decide to pursue, they learn as much about life and friendship as I did on my own team. So proud of this chick! 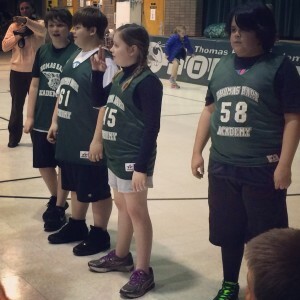 (I’ll admit, she wanted to quit her basketball team when she realized she was one of only two girls, but she stuck it out!) This was a step up. Away games versus other schools. Not like the usual basketball clinic days of her first, second and third grade year. Fourth grade plays with the big dogs. Fourth, fifth and sixth graders are combined to form the “Elementary Team” that plays other schools in our area. She started in most of the games. (Not really because she’s that good. Just because her coach is that good.) She gained so much confidence and experience and I feel sure next year, she’ll actually attempt a basket!